Book club hosted by the Friends of the Library. All dates Feb 05, 2019 from 12:00 PM to 01:00 PM Mar 05, 2019 from 12:00 PM to 01:00 PM Apr 02, 2019 from 12:00 PM to 01:00 PM May 07, 2019 from 12:00 PM to 01:00 PM Jun 04, 2019 from 12:00 PM to 01:00 PM Jul 02, 2019 from 12:00 PM to 01:00 PM There are 95 more occurrences. Let's Talk Books meets the First Tuesday of Every Month at Noon. It is open to anyone who likes to read. 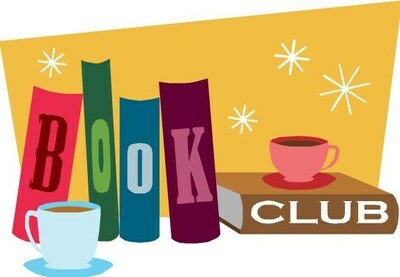 It is a fun and informative time for avid book readers to get together for lively discussion. The group meets the first Tuesday of the each month in the meeting room. Lunch and a drink will be provided for a donation of $5.00 for the first 15, or you can bring your own lunch. The money collected will be donated to the library. Click on the link for the book selections through January 2018.